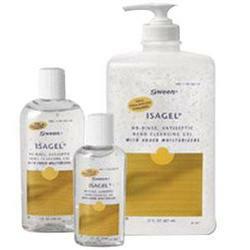 Coloplast Isagel Hand Sanitizing Gel. No-rinse, instant hand sanitizing gel. Kills 99.9% of most microorganisms in less than 15 seconds. Effective against H1N1 virus-Added moisturizers. CHG and latex glove compatible.